Home » News » What Do You Know About Ultra Soft Silicone Wire? What Do You Know About Ultra Soft Silicone Wire? Ultra soft silicone wire has excellent high temperature resistance and low temperature resistance, excellent high pressure resistance, aging resistance, high temperature resistance, acid and alkali resistance and long service life. Description of use: The insulation is made of silicone rubber, the color is: white, red, black, blue, green, yellow, translucent and so on. Long service life and easy to install. 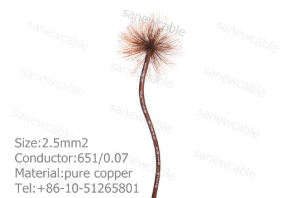 Widely used in lighting fixtures, household appliances, electric appliances, instrumentation, motor wiring and electronic, lighting, dyeing and other high temperature line environment. As a leader of China Silicone wire manufacturer,our products are efficient, cost effective and deliver more benefits. Welcome to choose us!